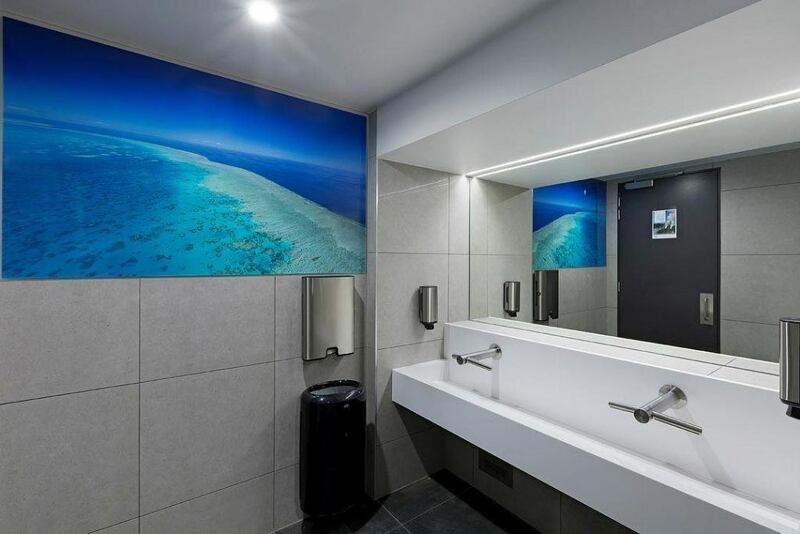 The popular resort has 277 refurbished rooms and suites and also boasts expanded food and beverage options offering Asian fusion, modern Australian and a buffet across three restaurants and bars. The lagoon style pool is situated to take in panoramic views of the Whitsunday Islands and the Coral Sea. With a swim-up bar and multiple lounge options, the pool is a haven for holiday goers and the perfect place to sink into holiday mode and soak up the Whitsunday weather. The Living Reef (which could be the star of the resort!) has been made bigger and better. 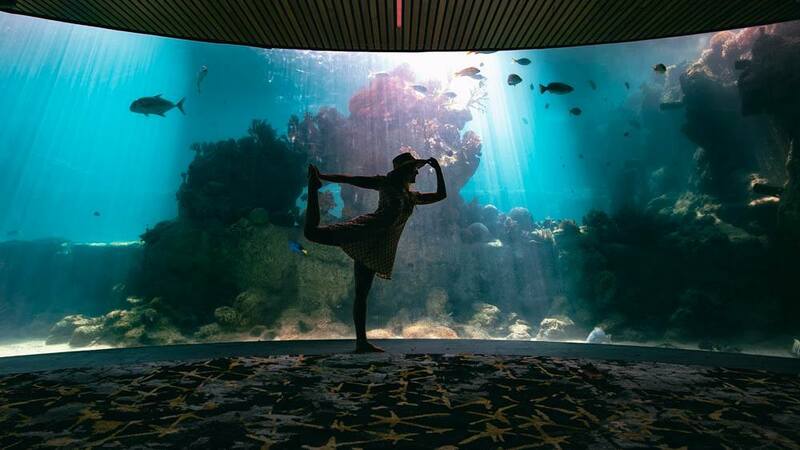 Wrapping the central building the free form coral lagoon has multiple viewing vantages from the outside and is now offering the ability to get up and close with snorkel tours by the resident marine biologists. 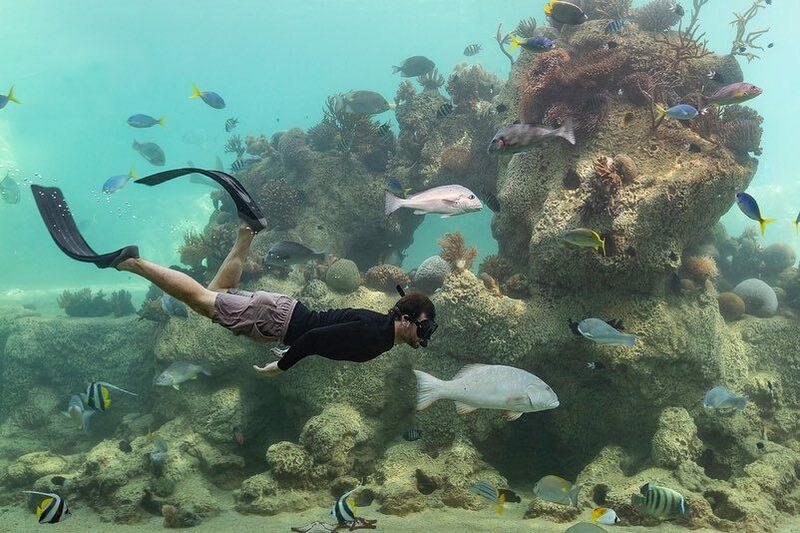 Holding an array of sea creatures and coral life the living reef holds over 1.5million litres of water and provides a hands-on educational reef experience for guests. Daydream Island Resort’s event space will cater to major events and conferences, yet still provide a personal touch. Special events from cocktail parties to gala dinners can be catered for across a large range of indoor and outdoor event locations, with weddings continuing to play a part in the story of Daydream Island Resort. We also want to give a special mention to local artist and photographer Brooke Miles who’s images are adorning the walls of the resort! You can see more of her local whitsunday photographic art at Above & Below Gallery.